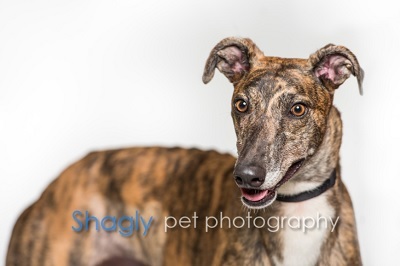 Gliss, aka Atascocita Gliss, is a 2 1/2 year old brindle female born on November 3, 2014. Her sire is Kiowa Sweet Trey and her dam is Atascocita Edith. 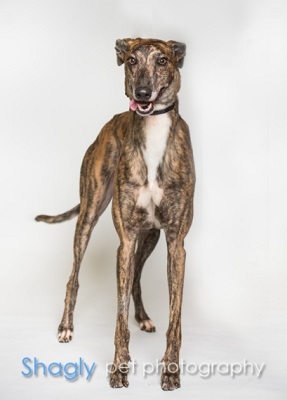 Gliss ran one maiden race at Mobile Greyhound Park in Theodore, AL on August 9, 2017. Gliss then headed straight to retirement. It is not known at this time if this big girl is cat or small animal tolerant.